Many of you who are the parents of boys will understand this. If you are a guy, you will still understand exactly what I’m talking about. No, I’m not talking about farts, although that could honestly be an article on its own. And it would be funny. Today, I’m talking about that other bane of existence for the parents of boys everywhere. I’m talking about the chemistry set. I wanted a chemistry set for a long time when I was 12 or 13 years old. My dad absolutely refused. I think he was afraid I’d blow up the house. Or worse -- make it stink. I begged for it for some time, hoping he might change his mind. However, he was steadfast in his refusal. Eventually, however, MeMe gave in and bought it for me for Christmas. I’m not sure my parents were very happy, but they did agree to let me have it as long as I kept it at my grandma’s house. Thinking back, maybe they already had that all worked out. Having the chemistry set at grandma’s house meant that I could only use it when I stayed there, or when we were visiting. It came with a book that had experiments that you were supposed to do in order. They started out easy and got progressively more difficult as you went through the book. The first thing I did after reading what was in the experiments book was to take every bottle out of the box just to see what chemicals I had. Probably to the chagrin to my Dad, I started experimenting right away. I followed the directions to a “T.” I didn’t want to destroy the house on my first try, especially in front of my parents. Any of you who have had a chemistry set know how safe they really are. 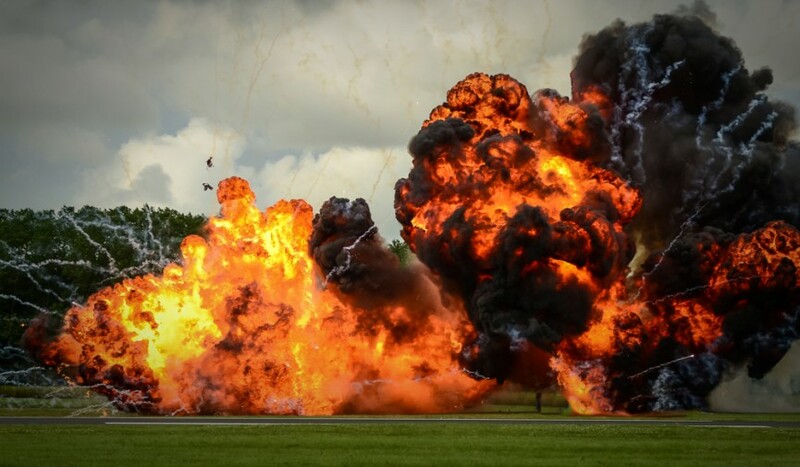 It’s pretty difficult to make anything blow up. But don’t think that I didn’t try. Chemistry sets are relatively harmless. They basically give you a real world experience in the difference between acids and bases, and show how chemical reactions work with fairly common, household chemicals. While there were eyes on me, I did only the experiments in the book. As I got more brave, I studied the booklet to see which chemicals had the greatest “explosive” reaction. Then I decided to make my own experiment. Matt Herman was over to grandma’s house with me one day, when she went off for lunch. That left us to our own devices for about an hour. Generally, we’d ride bikes or explore. This day, however, we were going to bring my chemistry set plan to fruition. The first thing we did was to take the set outside. We were taking no chances. Outside on the patio, we prepared our chemicals for mixture. We took what we thought were the most volatile chemicals and mixed them together over heat. We got a strange green foam that really did nothing at all other than expand out of the test tubes. And then it hardened. It took me forever to clean out the equipment. I was religious about cleaning everything. I didn’t want an accidental reaction. However, after trying to blow something up, I guess I didn’t need to worry as much as I thought. In the attic the other day, I moved the chemistry set box. It came to the house when we were cleaning out grandma’s house several years ago. I haven’t looked inside the box in probably twenty years. I have no idea what’s left of the chemicals inside. I should probably check that out before my kids get curious. Of course I would help them. Safety first. 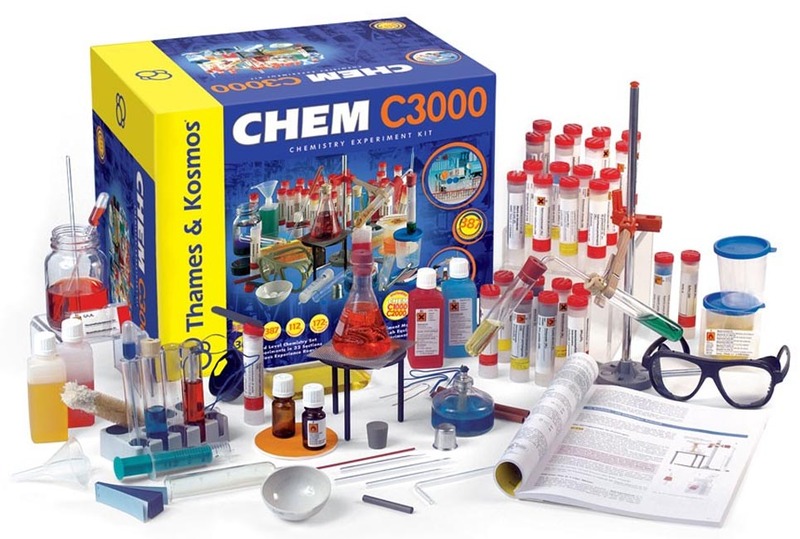 Who of our loyal readers had a chemistry set? Did you only follow the directions, or did you experiment beyond the pages, too? I may have to pull out the old kit just for old time’s sake. Of course, we’ll be outside for our experiments. We’re not taking any chances. I like my house. Craig Bacon prefers the chemical reaction that happens in his brain whenever he sees Wendy. That is chemistry in perfection.